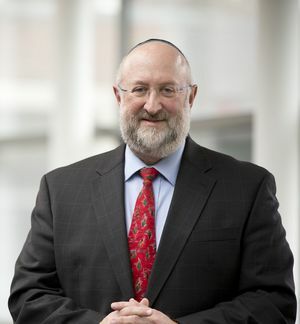 Rabbi Daniel L. Lehmann is the eighth president in the fifty-six-year history of the Graduate Theological Union. President Lehmann began his term on August 1, 2018. President Lehmann comes to the GTU after completing a ten-year term as president of Hebrew College in Newton, Massachusetts, where he also served as professor of pluralism and Jewish education. In addition, Lehmann was chair of the board of the Boston Theological Institute, where he successfully led Hebrew College to become the first non-Christian institution to join that theological consortium.